Bode Emanuel is a fellow of the Institute of Chartered Accountants - England and Wales. He has an extensive career in management consultancy having played significant roles in key government projects. He is chairman of several leading Nigerian companies amongst which are Hogg Robinson Nigeria Limited the leading and the largest Insurance Broker in West Africa in terms of business and size and also, Nigeria Life and Provident Company Limited & Ndash; a leading life and general insurance consultancy firm with over 47 years of experience. Mr. Emanuel is a member of many notable charities and societies. He currently sits on the board of Governors of Musical Society of Nigeria (MUSON). Amos Adeyeye is currently the Deputy Chairman of Hogg Robinson Nigeria Limited, the largest firm of Insurance Brokers in Nigeria and West Africa. 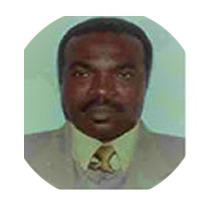 Mr. Adeyeye is a fellow of the Chartered Insurance Institute of Nigeria and London. Ade was employed by Hogg Robinson Nigeria in 1991 as an Assistant Manager. He left about eight months thereafter due to family issues and was re-employed thereafter as a Manager. Wale Kolawole has been the Managing Director of NLPC Pension Fund Administrators Limited from inception. He is an Associate of the Chartered Insurance Institute of London. Mr. Kolawole holds a Master’s degree in Business Administration specialising in financial management. He has over 27 years experience in the pension industry and is highly versed in pension schemes, administration and investment. He has presented papers on Pensions and related benefits at different forums in Nigeria, South Africa and United Kingdom. Married with children, Mr. Kolawole enjoys reading and travelling. University of Lagos. He is a Fellow of both the Chartered Insurance Institute of London and Nigeria, an alumnus of Lagos Business School and member of the Nigerian Institute of Management and Institute of Directors. 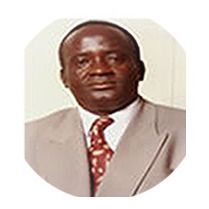 With twenty-five years post qualification experience spanning across Insurance Broking, direct Insurance and Reinsurance, Mr. Lawal’s expertise and exposure are widely acknowledged in the African Insurance Industry. He was Managing Director/Chief Executive Officer of Universe Reinsurance Company Limited before the merger with Sterling Assurance. 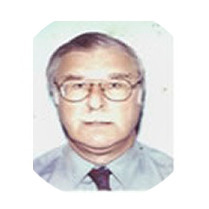 Peter Creer was the Deputy Managing Director, of Hogg Robinson Nigeria. Joined Hogg Robinson Nigeria in 1982 as General Manager, with direct responsibility for servicing General Business Account and New Business Development. He is a Fellow of the Insurance Institute of Nigeria and Member of the Institute of Arbitrators (Affiliate of the Institute of Risk Management). Solomon Alao is an Associate of the Chartered Insurance Institute, London (ACII) as well as the Insurance Institute of Nigeria (AIIN) and Fellow of the Institute of Directors. Upon his qualifying as an Associate of the Chartered Insurance Institute of London, he took up an appointment with the first Insurance Broker in Nigeria then called C.T.A. Baurin which was bought in by the Colonial Masters. He when on to head the marketing department of NICON from where he left for Nigeria Life and Pension Consultant Ltd which is the foremost pension consultancy in Nigeria. Dr. Solomon Alao retired voluntarily in 1998 after about 36 years in practices to dedicate his life to the work of God. Dr Solomon A. Alao is the General Superintendent and Supreme Head, Sacred Cherubim and Seraphim Church of Nigeria and Overseas.